Ingredients: figs 47%, onions, apples, cane sugar, White Pays d'Oc Wine, cider vinegar, raisins (raisins, and vegetable oil coating) Sherry Vinegar, Extra Virgin olive oil, spices 0.3%, garlic, caramel (E150b), salt. With its homemade style of production, l'Epicurien has carried out a cooking process that makes all its preparations slowly simmer in cauldrons. 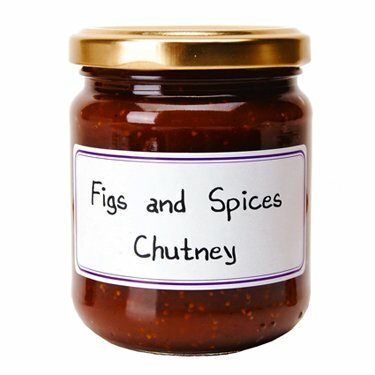 The deep and rich colors of fruits or vegetables, together with their delicate flavors, are deliciously revealed. 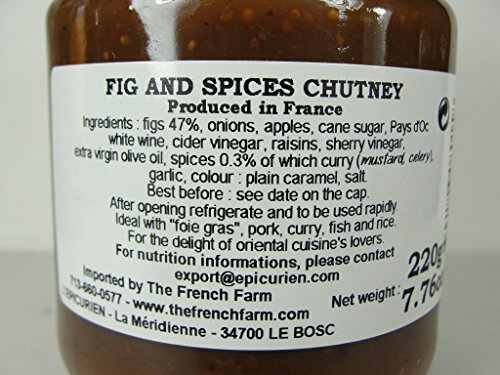 Figs and Spices French Imported Chutney 7.76 oz jar by l'Epicurien, France, One out of 5 based on ratings.